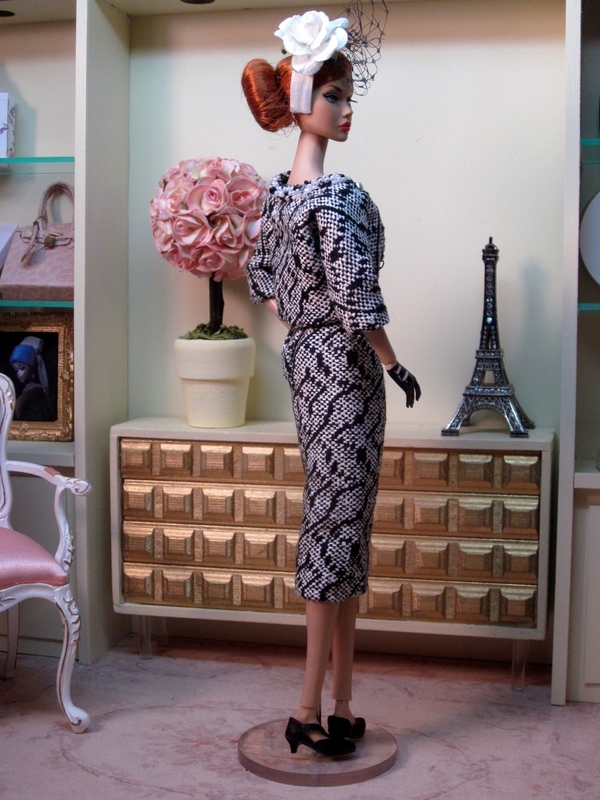 Poppy models a chic suit made up of a strapless sheath and boxy jacket. The fabric is a woven, textured cotton tweed in black and white. The short jacket fastens with black metal fastenings and pearl buttons. The neckline of the jacket is thickly beaded with pearls, beads, and crystals. 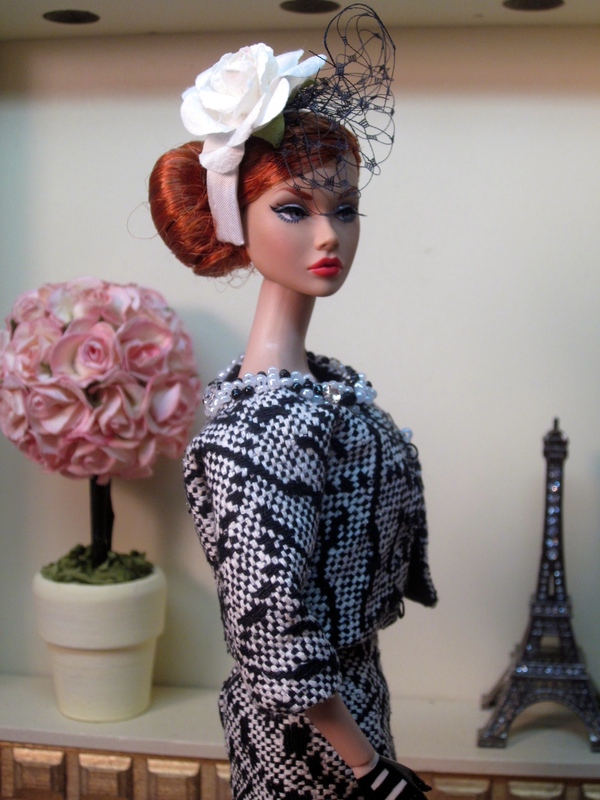 A fascinator with black millinery netting and the classic Chanel white camelia is the perfect finishing touch. Thank you so much. I am so pleased that you like it.